A change in guidelines for breast cancer surgery has resulted in fewer women having to undergo repeat surgeries. For more than a decade, the number of women choosing bilateral mastectomy to treat breast cancer has been on the rise. That's the case even for women with early stage breast cancer, cancer in only one breast or non-invasive breast cancer, which has raised concerns that women are getting more surgery than they need. Now a study suggests that trend may be turning around. Repeat surgeries including mastectomies declined by 16 percent from 2013 to 2015, after medical groups recommended a smaller cancer-free margin around tumors removed by lumpectomy. The results were published Monday in JAMA Oncology. It's important to consider the history here. Before the recommendations were published in 2014, there was disagreement in the medical community about how wide the margin of cancer free-tissue removed along with the cancer should be. Some doctors wanted 2 millimeters or more of normal tissue beyond the edge of the cancer. Other doctors believed that 1 millimeter of healthy tissue was fine. Still others thought that a clear margin could be even smaller than 1 millimeter. The difference of opinion led many doctors to recommend a second surgery when the margin was minimal and the cancer cells were close. That meant 23 to 38 percent of women who received a lumpectomy returned to the operating room to have additional normal tissue removed or to undergo a mastectomy. "There's no question that the need for a second surgery was associated with women deciding to have a mastectomy," says Dr. Monica Morrow, a breast cancer surgeon at the Memorial Sloan Kettering Cancer Center. Patients felt like they didn't want to go through this anymore, especially if the second surgery still didn't produce a "clean margin," she says, motivating many women to simply say "just take it off and then I know I'll be done." Breast cancer surgeons and radiologists were concerned about this high rate of second surgeries and decided to establish a standard for lumpectomy margins. The American Society for Radiation Oncology and the Society of Surgical Oncology reviewed studies, looking at evidence of margin size and its impact on cancer recurrence. They came to a stunning conclusion: A minimal negative margin was just as good as a bigger margin at reducing the risk of cancer coming back in that breast. Pathologists call the minimal margin "no ink on tumor," meaning the ink the pathologist used to mark the edges of the removed tissue isn't on cancer cells. Surgeons seem to have adopted the new guideline quickly, resulting in that 16 percent decline in second surgeries in women having lumpectomy for Stage 1 and Stage 2 breast cancer from 2013 to 2015. "That's a rapid and impressive change in a short period of time," says Morrow, and a "positive step" in the effort to help women choose the best breast surgery options for them. She co-chaired the panel that wrote the guidelines and headed the study. More progress could be made, Morrow adds. "These were the early adopters of the new guidelines." She thinks in the next few years the number of women having mastectomies could decrease even more. Though there hasn't been enough time elapsed to know how the guideline change affects survival, the fact that earlier studies showed no difference in survival due to margin size is encouraging. Numerous studies have found similar survival rates for lumpectomy and mastectomy in people with cancer in one site and a tumor under 4 centimeters, about an inch and a half. The study also found that from 2013 to 2015 the number of women choosing breast-conserving lumpectomy as their "definitive surgery" increased by 13 percent. The trend observed in the study is "good news for women with early-stage breast cancer," says Dr. Len Lichtenfeld, deputy chief medical officer for the American Cancer Society, adding that the findings are a nod to another emerging trend in medicine — examining the evidence from peer-reviewed research and using it to guide medical practice, referred to as evidence-based medicine. "We are taking the science we know, what we can actually demonstrate that works and applying it to the care of patients," he says. "Sometimes that care is more complex and expensive and sometimes, frankly, we've learned that by doing less we can actually do more." Morrow says its important breast cancer patients don't think a second surgery is always wrong. There will still be cases where more surgery is needed. For more than a decade, the number of women choosing double mastectomy has been on the rise. That's been the case even for women with early-stage breast cancer, cancer in only one breast or noninvasive breast cancer. Well, now the trend seems to be turning around. NPR's Patti Neighmond reports on the findings of a new study published in the journal JAMA Oncology. PATTI NEIGHMOND, BYLINE: The study suggests one big reason so many women may have opted for double mastectomy. Doctors didn't agree on how wide the margin of cancer-free tissue removed along with the cancer should be. Breast cancer surgeon Monica Morrow with New York's Memorial Sloan Kettering Cancer Center. MONICA MORROW: Was it better to have a big negative margin? Did that reduce the risk of cancer coming back? Or was a minimal negative margin fine? NEIGHMOND: The difference of opinion led some doctors to suggest a second surgery just in case, usually when the margin between healthy tissue and cancer cells was small. And when facing a second surgery, Morrow says, many patients felt like this. MORROW: I don't want to go through this anymore. What if you don't get a clean margin the second time? Just take it off and then I know I'll be done. NEIGHMOND: Professional groups representing both surgeons and radiologists were concerned, so they did a major review of studies looking at whether the amount of healthy tissue removed made a difference in cancer returning. They came to a stunning conclusion. MORROW: A minimal negative margin was just as good as a bigger negative margin at reducing the risk of cancer coming back in the future in that breast. NEIGHMOND: The result? Guidelines published in 2014 that informed surgeons that small lumpectomy margins can be safe. 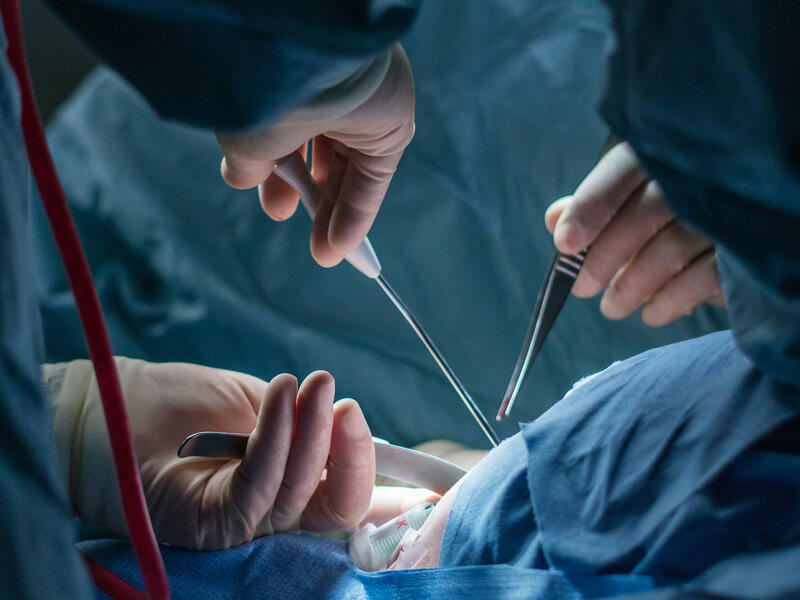 Morrow was part of the group that wrote the guidelines, and she headed the new study looking at rates of second surgeries after lumpectomy before the guidelines and after. Morrow found second surgeries declined by 16 percent in patients with stage 1 and stage 2 breast cancer. A rapid and impressive change, she says, in a short period of time. MORROW: This is a year later, so we are potentially looking at the tip of the iceberg in the sense that these were the early adopters of the guidelines. We anticipate that if we look again in another few years we may see that the number of women having lumpectomy as a final surgery has increased even more. NEIGHMOND: In Morrow's study, the number of women choosing breast-conserving lumpectomy as their final surgery increased by 13 percent. This trend is good news for women with early-stage breast cancer, says Dr. Len Lichtenfeld, deputy chief medical officer for the American Cancer Society. And he says it's an example of an emerging trend in medicine examining the evidence from peer-reviewed research and using it to guide medical practice. LEN LICHTENFELD: That is, taking the science that we know, what we can actually demonstrate that works, and apply it to the care of patients. Sometimes that care is more complex and more expensive. And sometimes, frankly, we've learned that by doing less we can actually do more. NEIGHMOND: Cancer researcher Morrow says it's important breast cancer patients don't misinterpret the findings of the study and think a second surgery is always wrong. That's not the case, she says. If there are cancer cells up against the margin of the lumpectomy, more surgery is needed. Patti Neighmond, NPR News. (SOUNDBITE OF BEACH FOSSILS SONG, "TANGERINE") Transcript provided by NPR, Copyright NPR.